Architecture Centre Network presents the first in a series of talks exploring community engagement in the built environment. The discussion will reflect on the Project Office, an innovative approach to working with the local community and students to address current design issues. 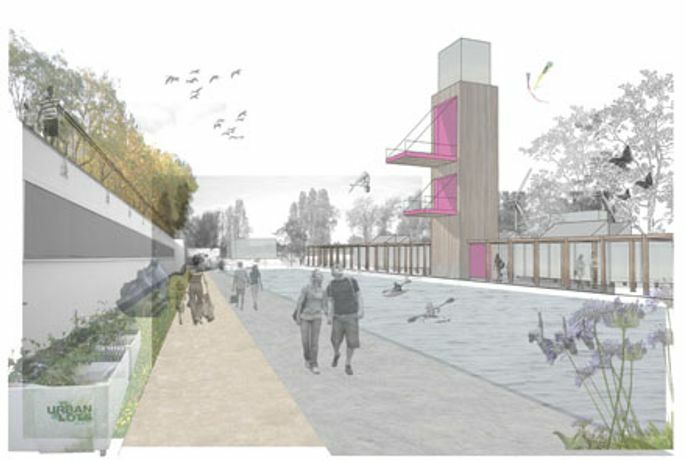 The local community identifies design issues, which are used to set live design briefs for students at The School of Architecture, University of Portsmouth. This approach has culminated in the development of the Project Office within the school  an architects' practice with a focus on research. Through running live projects, clients and stakeholders benefit from a wealth of student proposals, and students benefit from interacting with real clients and stakeholders on a live project. Recent projects include the Hilsea Lido, in which students developed proposals for the redevelopment of the site under the theme of âHealth and Wellbeing' (ideas ranged from community facilities, refurbishment of the existing lido site to landscape proposals); a community health and wellbeing project in Leigh Park for the Diocese of Portsmouth; and the development of Havant town. Prof. Lorraine Farrelly, Professor of Architecture and Design at the School of Architecture, University of Portsmouth comments: The projects have allowed our students to start to understand the real issues that local communities face, and feel they can be part of the solution."